This grilled combo is a summer classic you can now enjoy anytime! 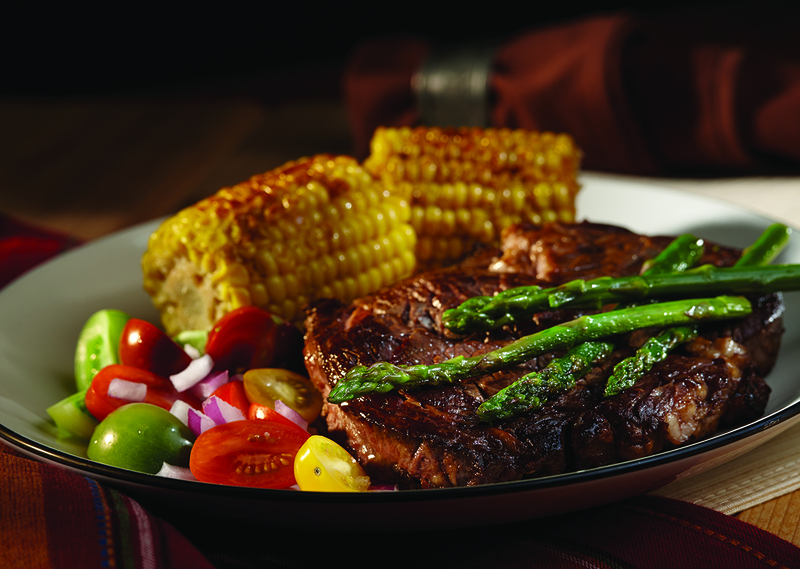 Roasting corn on the cob highlights its natural sweetness, and a quick sear of the steaks leaves them juicy and tender. The perfect pair. Season steaks with soy sauce, garlic powder and pepper; let marinate 15 min. Brush corn with oil and place directly onto the surface of the roaster. Set timer and cook, covered, 10 minutes. Turn corn, and cook 10 minutes or until corn is done. Remove corn from roaster, cover with foil and set aside. Place marinated steaks in Contact Roaster, leave lid open, and cook 10 minutes turning steak half way through cooking or until browned on both sides and steak is soft to the touch for a medium rare doneness. Tip: Increase the cooking time according to the desired degree of doneness.